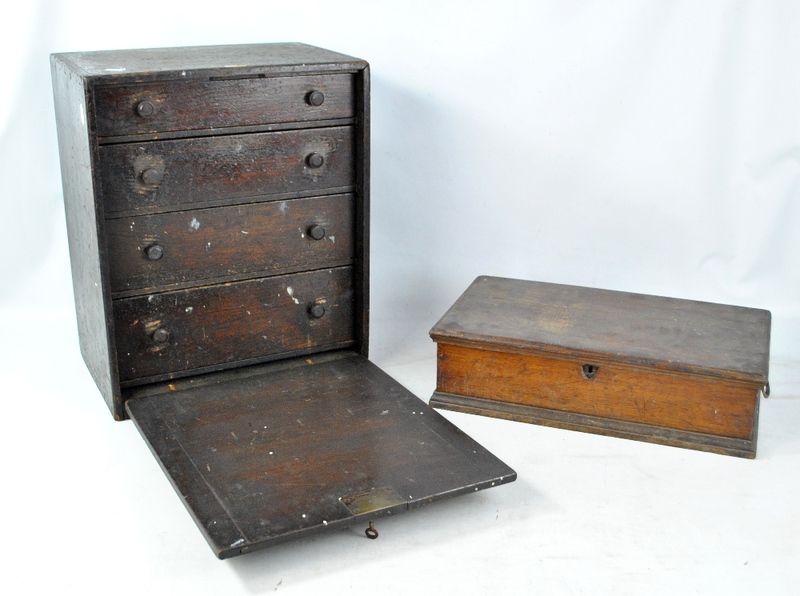 An oak four drawer cabinet (af), width 38cm, and a further box (2). Cabinet falling door is detached, heavy surface wear, dirt and losses. Second box heavily worn also.